Stocks Hotel on the unique and beautiful island of Sark are now recruiting for a qualified Massage Therapist and Guest Services promoter for the duration of the 2018 summer months; from April until October. This is a combined role to be carried out by one person. Additional hotel customer service duties will be carried in between massage appointments and promoting guest services. Stocks is a high-quality, family run, luxury farmhouse hotel with 23 suites and bedrooms plus a popular fine dining room, an exclusive cocktail bar and a poolside Bistro restaurant. We have a superb, small, luxury health salon. 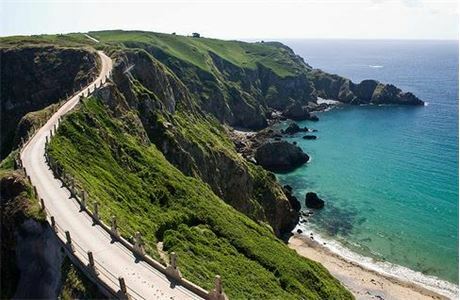 The hotel is located in the centre of the small island of Sark in the British Channel Islands. Our brand new, luxurious, state of the art, en-suite staff lodge accommodation includes full central heating, satellite TV and broadband Wi-Fi. We want to recruit the best staff and we provide some of the best quality staff accommodation you will find anywhere in Europe! Proactively promoting our own 'in house' guest services such as massage, well being, gym instruction, food & beverage products, home made wines & liqueurs, horse & carriage tours, etc. Proactively promoting other tourism related goods & services provided by local people such as bicycle hire, round the island sightseeing boat trips, fishing rod hire, coasteering, kayaking, garden walks, pottery & painting classes, Yoga classes etc. Offering a range of massage treatments to our resident guests and non-resident guests. Must have previous experience and training with recognized certificates. Must be clean, tidy and methodical worker. Must be honest, reliable and trustworthy. Must speak and understand English fluently. Must possess valid UK Visa and work permit. Must be well organised and responsible. APPLY TODAY for the best opportunities. Stocks is a luxurious country house hotel located at the heart of Sark. The hotel is surrounded by acres of mature woodland, meadows and gardens. Stocks is a family business and our small team of staff work with us to exceed customer expectations in every area of the hotel. We pride ourselves on providing friendly personal service with discreet efficiency and informal style. Our philosophy is that nothing is too much trouble. It is due to the hard work and enthusiasm of our whole team that Stocks is a place where people can get great job satisfaction and more importantly, enjoy their working day, every day. We are keen to reward effort, energy and commitment. There will be opportunities for promotion and career development as you grow with us. Our brand new staff accommodation Lodge is superb - twenty stunning en-suite bedrooms which include full central heating, satellite TV and Wi-Fi. We provide FREE accommodation, FREE food, FREE laundry service and basic medical insurance. Sark is situated in the centre of the British Channel Islands; approximately 8 miles east of Guernsey, 15 miles north-west of Jersey and 20 miles from the French coast. With no tarmac roads, cycling or walking are the two most popular ways to get around the island. The island is beautiful. The coastline is spectacular. The beaches are less than a 10-minute walk from the hotel. The fishing is excellent. The climate is milder & warmer than the UK - we are closer to the equator! Sark offers a friendly, informal, community orientated social life focused around the island hall community centre and two popular local pubs. There are a few small sports clubs on the island which include running, Yoga, cricket, football and badminton, plus darts, snooker and pool. There is an active local amateur theatre group. There are several live music events throughout the summer months. Stocks Hotel and Sark offer a unique place to live and work.